Our Company - Greening Inc.
Greening comprises two distinct companies under the same umbrella: Greening Associates, Inc., and Greening Test Laboratories. 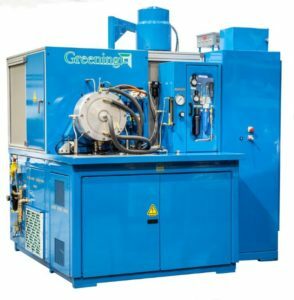 Greening Associates designs and builds custom-engineered electrical, electronic, hydraulic and mechanical test equipment. Greening Test Laboratories offers independent contract testing. Our laboratory is ISO 17025-certified to provide assembly and performance testing. Commercial vehicle, light truck and passenger car brake and physical property testing are all available. We also offer wet friction testing on our state of the art SAE #2 machines. Our facility is the only one certified by the American Association for Laboratory Accreditation (A2LA) and the Automotive Manufacturers Equipment Compliance Agency (AMECA). We are also the only lab that offers Dual Dynamometer Differential Effectiveness Analysis (D³EA®) for brake pads, drums and rotors. Our customized design and use of cutting edge technology are reflected in the quality of our products and our customer service, which is flexible and tailored to the needs of each client.